Petrogas provides flexible logistics support services in Gabon, Mozambique, Congo and Nigeria. Working with major oil and gas operators in Africa for many years, the company has developed cost-effective and flexible solutions, delivering high international standards locally. 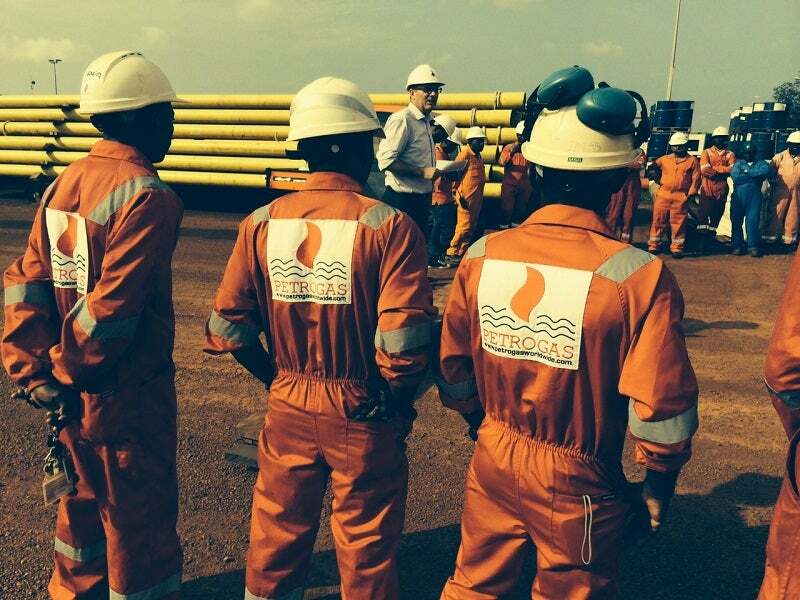 Petrogas supplies transportation solutions, equipment rental, as well as full package mechanical services to remote client locations throughout West Africa. Additional services available include and distribution of logistics safety products such as Alcolock and Chalwyn. Petrogas operates with the highest oil and gas industry standards in the developing African markets, supplying clients with cost-effective and flexible logistics support solutions. The company provides petrochemical clients in Gabon with high-quality rental services for equipment such as cranes, heavy vehicles, buses, air compressors, power generators, forklifts, trailers, and light vehicles. Focused on adding value to clients, Petrogas also employs certified drivers, operators and mechanics to ensure high-quality services. All company personnel are highly qualified specialists, performing the roles of drivers, mechanics, and equipment operators. Operating in Rabi, Gamba, Port-Gentil and Libreville, a full maintenance support service is included for all equipment, regardless of its location. Petrogas has supplied services to clients such as Shell, Perenco, Total, and other blue chip companies operating throughout international energy markets. Petrogas is dedicated to health and safety (HSE) of personnel and operations, and has received multiple client awards for high HSE standards and operational safety. In 2015, the company became an official West Africa distributor of Alcolock and Chalwyn safety logistics products, designed to improve health and safety, especially in critical energy sectors such as oil and gas. Alcolock is the leading manufacturer of alcohol breathalysers and ignition Interlocks. The products have proved to be very effective for operations in the logistics sector, significantly improving safety of logistics operations. Chalwyn is a prominent developer of air intake shut-off valves and spark arrestors for diesel engines, widely used for operations in remote locations. Years of experience working in similar environments has established that Chalwyn safety valves can address the HSE demands of clients in Africa. Petrogas distributes and installs Chalwyn products throughout Gabon, Nigeria, Congo, Cameroon and Mozambique. Petrogas is an associate company of the Onstream Group, which has been a leading provider of logistics support, maintenance and equipment rental services since 1978.